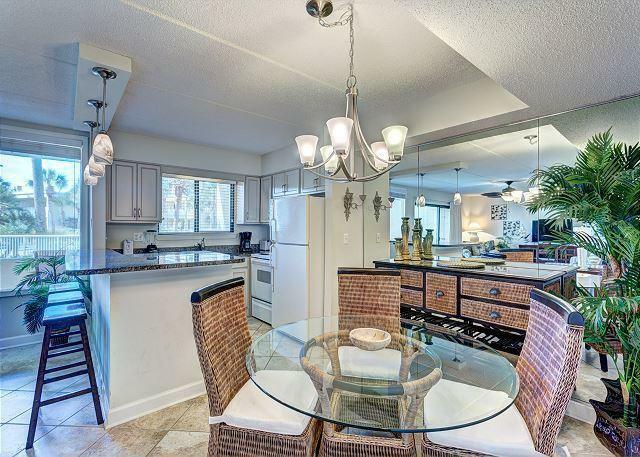 Coveted ground floor unit close to the pool and tucked away in a corner for privacy! 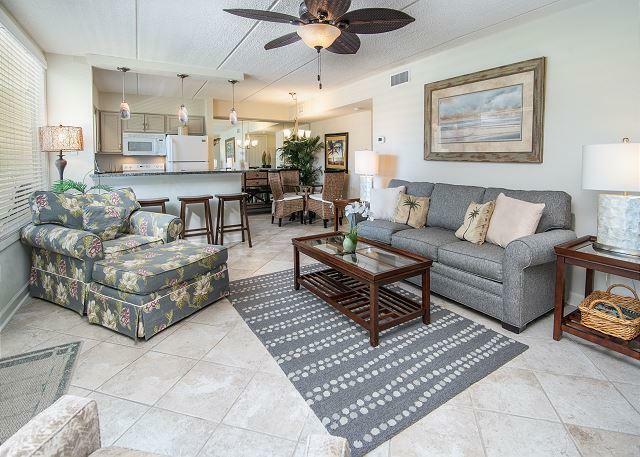 Silver Dunes is a sweet gem of a property with a rare green space that gives the property the best of the Gulf of Mexico and then a sprawling green grass area for family time! 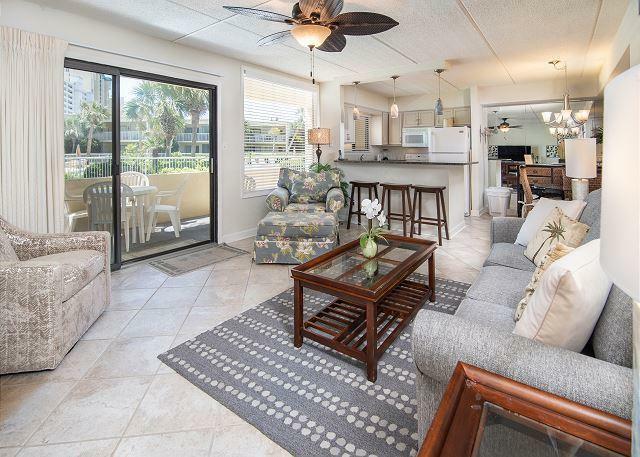 This unit has been renovated by the owners and very nicely decorated with modern furnishings that are comfortable and stylish! Improvements include: NEW kitchen cabinets and granite, tile throughout the unit, new carpet in the bedrooms, new doors throughout, all new light fixtures, freshly painted, new bathroom fixtures and new tile on porch to name a few. 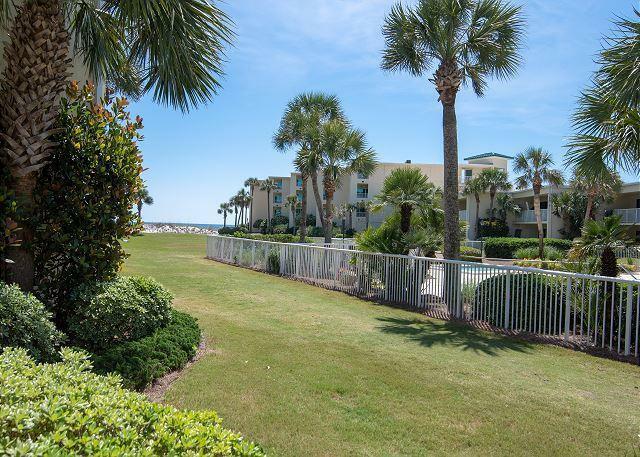 This is a great rental unit and a wonderful family retreat at the beach!